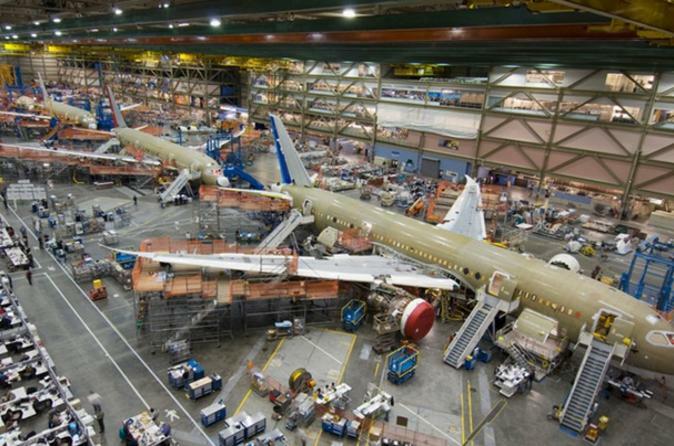 After pickup from your selected hotel in Seattle or SeaTac, you'll be taken to the famous Boeing Factory in Everett. On the flight line, see airplanes in various stages of being outfitted and painted for airline customers around the world. You may also see a Dreamlifter on the field, a jumbo 747 cargo plane modified to transport the Dreamliner’s large parts from every corner of the world to Everett for final assembly. In the Future of Flight learning center, you’ll use a touch screen computers to digitally design and test your own airplane. At the end of your tour, you’ll be returned to your original pickup location.